STUNNING Steel Creek model home! This popular two bedroom two bathroom two car garage home is loaded with upgrades! Gorgeous elongated tile throughout - no carpet! Custom window treatments! The kitchen has stainless steel appliances white cabinets with handles coordinating backsplash with granite countertops both recessed and pendant lighting. The cafe area off of the kitchen can be used as additional eating space or the perfect place for a desk. Both bathrooms feature upgraded wall tile and the master has double bowl sinks. Large linen closet. Tons of storage throughout including a âdrop off zoneâ area and coat closet when you enter the home from the garage. Separate laundry room features plenty of shelf storage. The garage even has epoxy flooring. Outdoors features a covered lanai with pavers. This home has everything! Del Webb Orlando features a 30000 square foot private clubhouse. The âMontecitoâ has a lounge indoor walking track outdoor and indoor pools fitness center meeting rooms and ballroom. A full time activities director is there to help you plan your day. 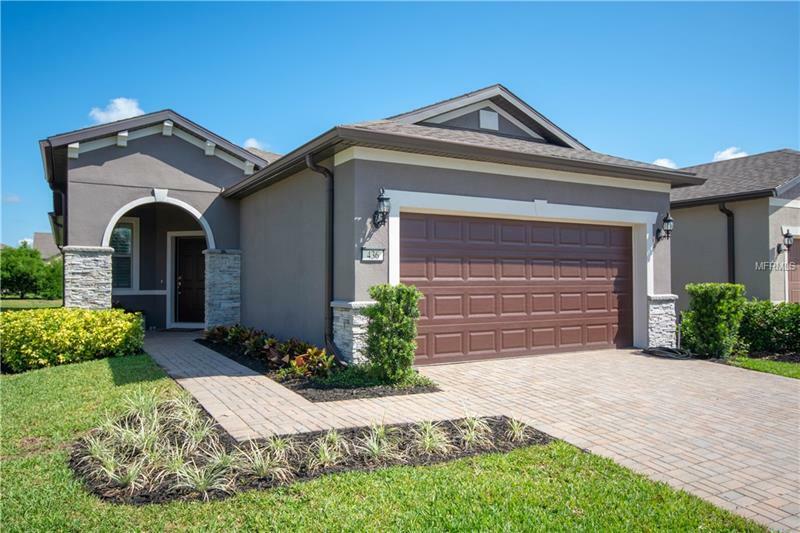 Del Webb Orlando is a 55+ gated community located in the planned community of RidgeWood Lakes. Near I4 hospitals medical facilities shopping restaurants theaters and area attractions. A one time capital fund contribution of $750 is paid for by the buyer at closing.